Pain Doctor is here to change your life by reducing your pain and improving your daily functioning. We do this with safe and effective comprehensive treatment plans that reduce risks and maximize benefits. We go to great lengths to protect our patients from the significant risks that are associated with opioid therapy, which are also known as narcotic medications. We stringently follow DEA recommendations regarding prescribing opioid medications. 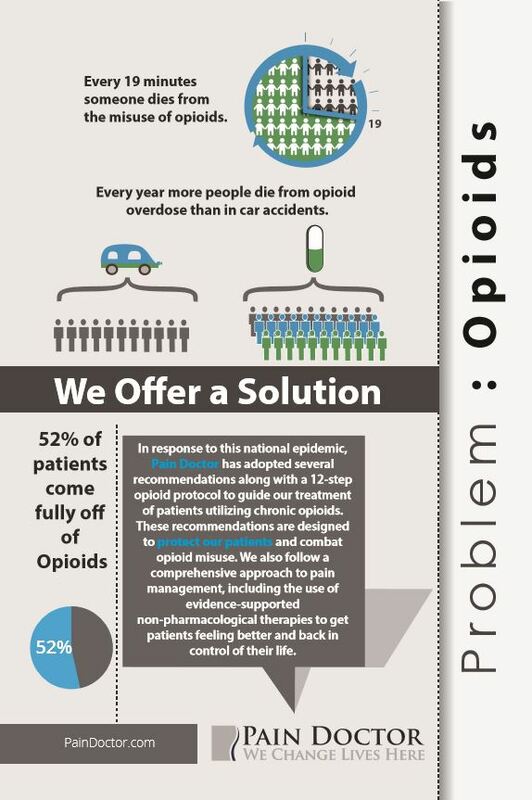 Further, we only prescribe opioid medications if we determine that a patient’s pathology warrants their use, the patient satisfies specific criteria, and the patient has failed other, lower risk treatment options. We typically do not prescribe high doses of opioid medications as research continues to show that this regimen has much greater risks for patients with few long-term benefits as compared to lower doses. We believe that if you suffer from pain, we can help you. 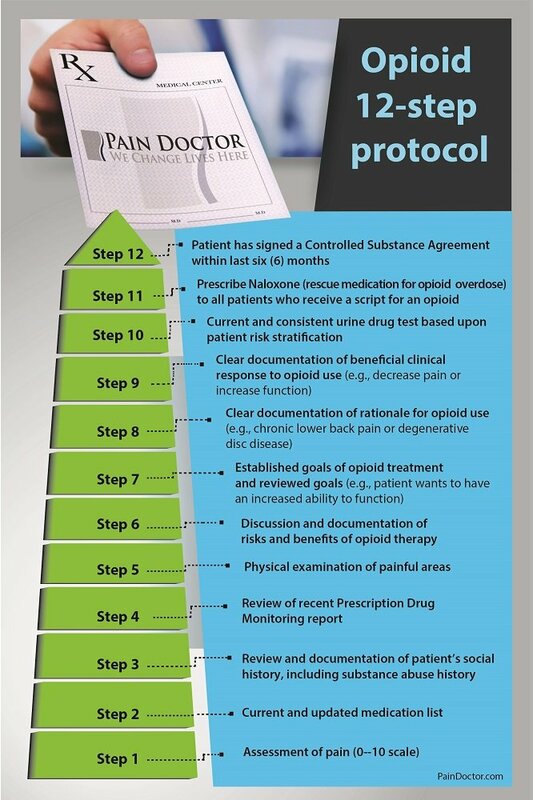 We successfully treat all types of pain with our comprehensive treatment plans and adherence to our Opioid Therapy Statement and 12 Step Compliance Checklist. Our treatments are safe, minimally-invasive, and clinically-proven to be highly effective. At Pain Doctor, we are passionate about treating those who suffer from pain. We empathize with chronic pain’s burden on you and those closest to you. We provide life-changing, intelligent, and comprehensive pain treatments. 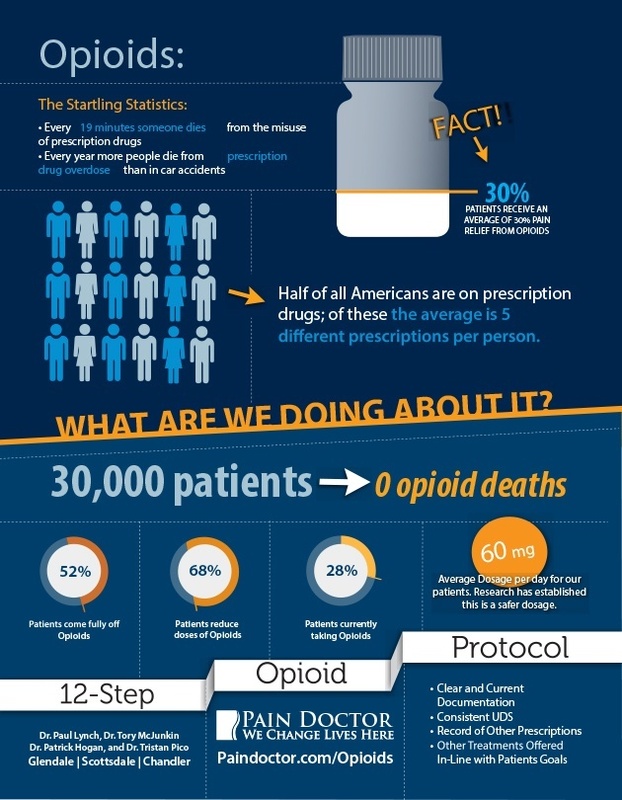 Read more about the long term effects of opioids use.